Injury prevention programs are one of the hot new things in healthcare and personal training. However unlike other fads and trends, this new thought process of stopping injuries before they occur is likely here to stay, and for good reason. Injury prevention programs are similar to regular maintenance on your car. You change the oil, filters and get belts and other areas inspected to prevent larger more expensive repairs in the future. So why do we treat our own body worse than we do our car? What is an injury prevention program? Injury prevention programs can have different components, and look very different based on the athlete and the sport or activity they are participating in. Some programs will emphasize flexibility, strength training, correcting poor sport specific mechanics, and athlete education. As a physical therapist it’s our job to understand how a person moves. When it comes to athletes, it’s important to understand the how normal day to day movement is different from sport specific movements. For example the demands and stresses placed on muscles and joints during walking, are very different than the demands and mechanics of planting and cutting. While evaluating an athlete for an injury prevention program a physical therapist will identify risk factors for certain types of injuries. This will be done by examining strength, flexibility, motor control, mobility and stability, as well as sport specific movements. 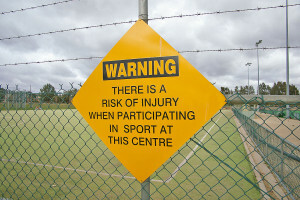 Who can start an injury prevention program? Anyone can benefit from an injury prevention program. From the youth basketball player trying to prevent an ACL injury to the recreational adult runner who wants to avoid nagging overuse injuries, and even the firefighter who wants to prevent work related low back pain. So if you haven’t thought about starting an injury prevention program, maybe it’s time to consider a tune up to help keep your engine running smoothly.